As Texas is still dealing with Hurricane Harvey’s areas of flooding, failures of water plants and prolonged toxic chemical concerns, the cell sites out of service in the affected areas hit a new low yesterday at 1.73%. 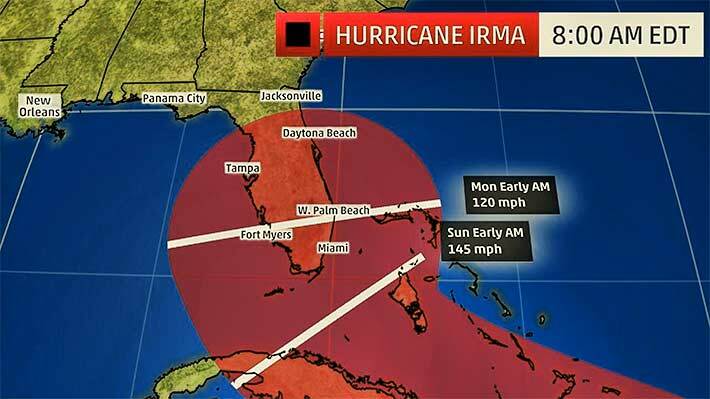 However, when Hurricane Irma sweeps into Florida this weekend, industry observers believe that outages will far exceed Harvey’s highest total of 4.7% on Aug. 28. When the eyewall of Harvey came ashore in Port Aransas with a peak wind gust of 132 mph, the hurricane saw lower windspeeds as it parked over South Texas setting rainfall records of up to four feet in Houston, adding to refueling problems of some downed cell sites. Hurricane Irma first hit Barbuda, a tiny Caribbean island. News reports indicate that it was more than 90% destroyed by the storm. 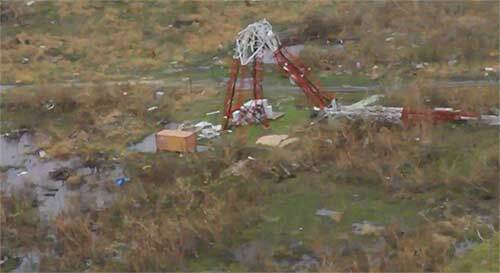 This broadcast tower was a victim of Irma’s unrelenting high winds. Whereas Irma is not expected to provide record rainfalls, as of 8:00 a.m. today, it is projected to come on shore as a Category 4 hurricane and continue as a Category 3 in South Florida as it moves North. However, the projected path could move from the center of the state to the West or East Coast of Florida, moving up to Georgia and the Carolinas. Hurricane Andrew was a Category 5 hurricane that decimated Florida in mid-August 1992, the most destructive hurricane to ever hit the state with sustained wind speeds as high as 165 mph. Irma’s sustained wind speed are currently as high as 185 mph, and it is being identified by meteorologists as the most powerful hurricane in recorded Atlantic Ocean history. Andrew took down many cell and emergency management towers in its path with tornadic gusts twisting self-supporting towers into galvanized pretzels. Although the tower design bible TIA-222-G was published in 2005 with two revisions which requires new sites and retrofits to withstand greater wind load influences, the largest changes since 1986, there are a number of legacy sites within the state built to earlier revisions. Of Florida’s approximately 21 million people, South Florida has over 7 million residents. The FCC deactivated its Disaster Information Reporting System (DIRS) for Harvey yesterday and is initiating a new DIRS for Irma. Although Wireless Estimator’s team resides in the projected eyewall path of Irma, they will strive to report upon communications events caused by the storm’s core which is spinning about 15 miles west-southwest of Anguilla, with maximum sustained winds of 185 mph. 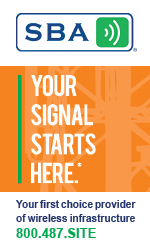 Although major carriers state that they are preparing to provide mobile cell sites in the affected areas once Irma sets its course, it is not known if their deployments in Texas will reduce their available resources. 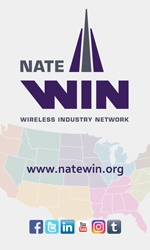 In 2005, Hurricanes Dennis, Katrina, Rita and Wilma hit the U.S. from July 10 through October 24, however, the FCC did not have reporting procedures in place then to monitor outages. Other than Andrew, only two Category 5 hurricanes hit the U.S., Camille (1969) and an unnamed storm in 1935. Meanwhile, Tropical Storm Jose, in the open Atlantic far to the southeast of Irma, is expected to become a hurricane by tonight.